There seems to be this great misconception that stay at home moms have a perfect home, and are supposed to be on top of housekeeping. 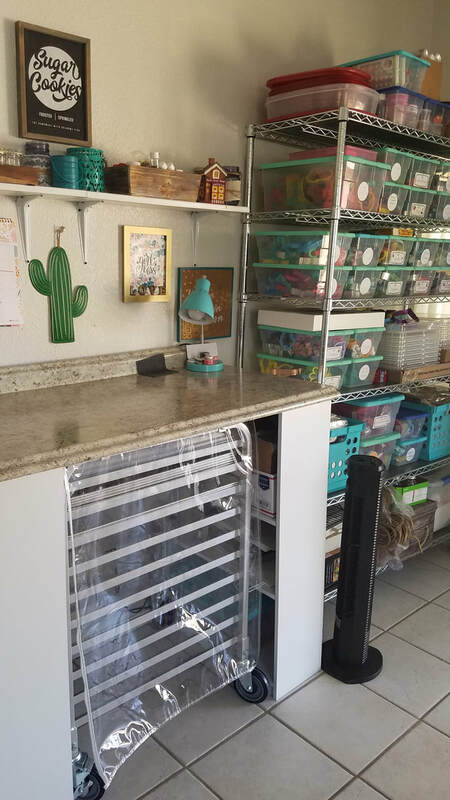 I'm sure if that were my only job, my house would look magnificent 24/7, but as I sit here in my cookie room/office typing this my husband is doing the mounds of laundry that piled up throughout the week and my kids are tearing the living room apart. Normally I would step in and help in some way, but at this point I am burnt out. Burn out is real you guys! I'm totally feeling it. When I first started my cookie journey, I had no idea what it really entailed. I had been home for a few months focusing college and my kiddos, and I just felt like I needed a hobby that could double as a source of income. Enter sugar cookies. 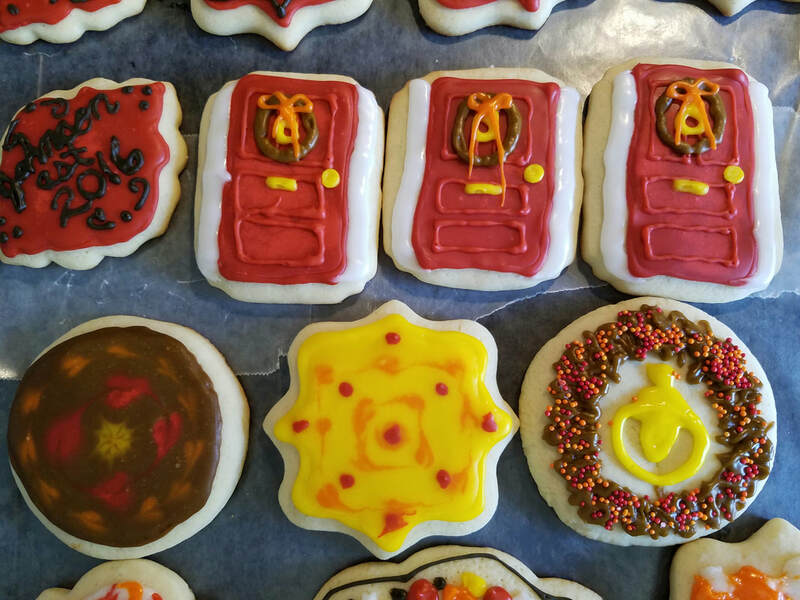 I remembered messing around with some sugar cookies a couple of times in the years before, and thought well lets give it a shot. I posted on a local community page to gauge the interest and a lot of people seemed interested. At the time, I had no idea that there was a whole worldwide "Cookier" community, and really had no idea what I was doing. There was a lot of learning in the beginning stages, and my cookies were far from perfect. My loving daughter has told me from day 1 , "Mommy, you are the best cookie maker in the whole world", so you know, winning! ​Every time I turn around there is some new product that is a must have for making gorgeous cookies. 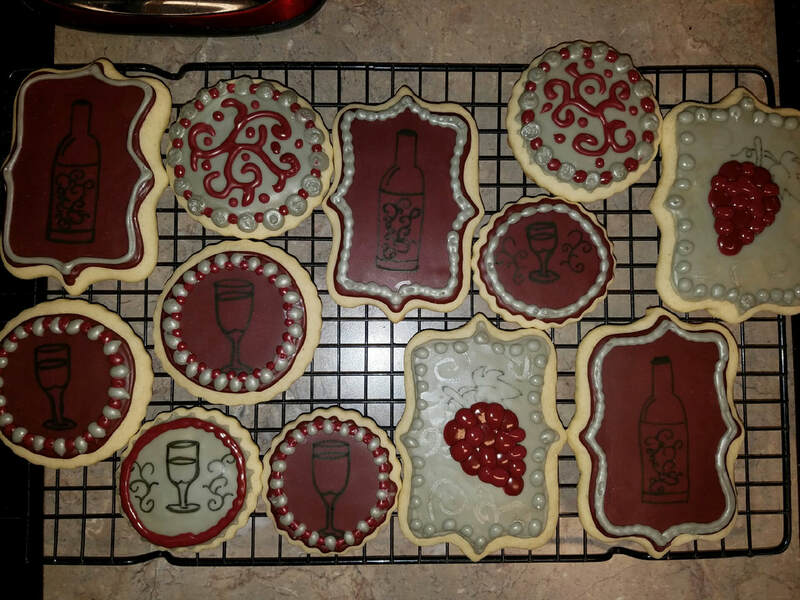 Almost two years into my baking journey, I might turn a profit this year...if I stop buying cookie cutters. (I might have a problem, and need to attend a cookie cutters anonymous meeting). I am definitely not rolling in the dough over here (just cookie dough). The whole point of all of this, is to just share that you have to start from somewhere. Did I think when starting that I would end up with an entire room of our house dedicated to cookies? No, But here I sit in my "Cookie Room". It is so easy to get caught up in these cookies, and I do so easily. One thing that I am going to focus on this year, is cutting back. Cutting back on spending. Cutting back on my mounds of supplies. Reminding myself that I do not need every cookie cutter that gets released, even though they are absolutely adorable. I made the mistake of buying on impulse when starting out. I have a lot of cutters that were purchased, that have either never been used, or used once and stuffed in one of these tubs. So, my advice to anyone just starting out is to be extremely frugal when making your purchases. Start out with a nice set of basic shapes and a couple of plaques and use them in multiple ways. My number one focus for the remainder of the year though, is my kiddos! I know I've said it before, but my kids are really missing me lately, even though I am home with them 24/7. It is extremely easy to get sucked into work, and my girls are definitely noticing. I am hoping that with this blog, I can highlight the day to day life of being a mom and cookier, and hopefully bring some reassurance to other moms that they are not alone in the struggle of finding a balance. ​My girls are the whole reason I started this, I wanted more for them. So it is time they started getting more! Hi, My name is Amanda and I just want to share the raw reality of what being a stay at home "cookier" mom is!